"Wedding Solstice" is past (December 27th), January is upon us, wedding planning season is open! 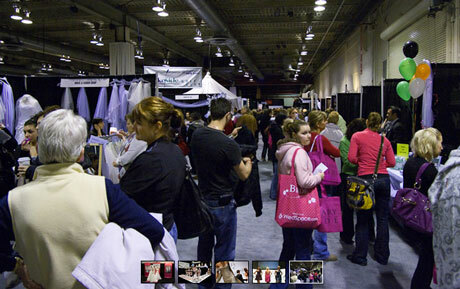 And along with it the usual flurry of bridal shows across Canada, to both help and inspire the bride! Here's our "comprehensive sampler" of what shows, fairs and other events are coming to a city near you, in January 2011. Sunday Jan 9 2011 Open from 11 AM to 5 PM Bridal Show at Pacific Inn FREE Honeymoon draw for brides. FREE draw for friends of brides. FREE Admission for everyone. Win a door prize or the Honeymoon getaway - $30,000 in prizes in 2011 85+ vendor The most opulent show ever. Sheldon Kagan's Le Salon de la Mariee is the longest running bridal show in Montreal with everything under one roof to help you plan your wedding,honeymoon & future home.